Imagine being able to open an Excel file with a complicated dashboard about your members, and with a click of a button update it with the actual live data from your Wild Apricot database – current and up to the minute. Or imagine being able to automatically consolidate data from several chapters using Wild Apricot so that your head office staff can actually reconcile and use a clean set of records across all chapters. These are just a couple of the many processes you can set up with our Wild Apricot API. With the recent release of Version 2 of our API in July 2014, we thought we’d explain a little more about API, the potential benefits for Wild Apricot customers and its impact on the development of our first mobile app – scheduled to launch this September. Many of our customers have already taken advantage of the many uses of an API. But for those of you who may not be familiar with this term, API stands for Application Programming Interface. It is a set of functions that allow programs to automatically interact between each other, allowing you to share and update data between otherwise distinct applications. With Wild Apricot's API, you can create programs to automatically retrieve or update data stored in your Wild Apricot database. The retrieved data can be backed up, used to update another database, displayed on a web page, or passed onto another program for further processing or reporting. Here’s an example: Let’s say that you want to get a list of new members every Friday. You could do that manually, clicking on the export button in Wild Apricot. 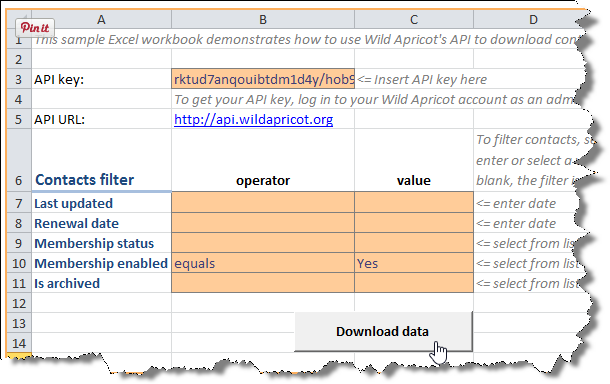 Or – if you have some technical skills or a friendly geek on your team – you can have a small piece of code – under a button in an Excel file – that uses Wild Apricot’s API to automatically retrieve those records. How can API be useful to your organization? Wild Apricot provides a number of ways to export information from your database – contacts, event registrations, invoices, payments, etc. But every organization has their own particular needs – you might want different information in a particular format, without having to modify a spreadsheet every time. Or, maybe you want to use the information in your Wild Apricot database to automatically update another system. Note: using API with Wild Apricot software requires significant programming knowledge. If you want to take advantage of this functionality but lack the technical knowledge, you can engage the services of a Wild Apricot partner. Create an Excel file that retrieves all of your contacts with a single click and automatically generates a report or a chart. Update Wild Apricot email preferences (e.g., for newsletter email blasts and event announcements) using an unsubscribe list maintained through an external email system. Creating and deleting payments in Wild Apricot using information stored in an external accounting system. But what makes an API really powerful is that once you create a program that uses it to interact with your Wild Apricot database, the program can perform its functions automatically, without any human interaction. 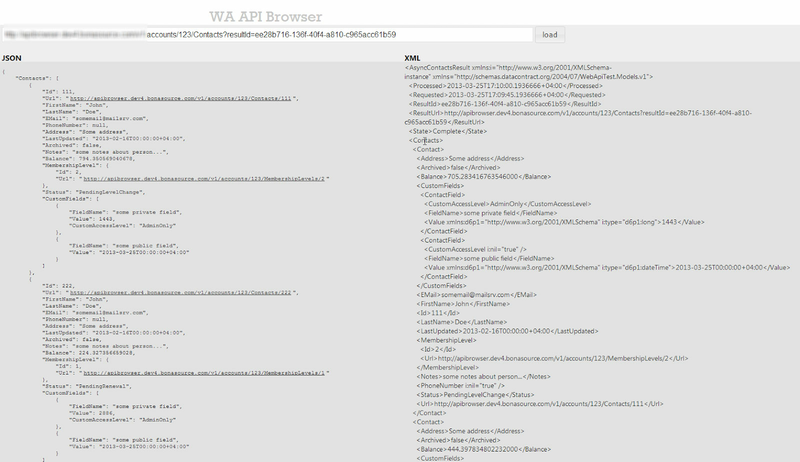 The first version of our API was released in August 2013 as part of Version 4.6 of Wild Apricot. Version 1 of the API included the ability to extract information about contacts and membership levels. Version 2 of the API was introduced in July of this year as part of the 5.1 release. This latest version of the API provides the ability to update contact information, event registration, and payments, along with a number of new API calls you can use to retrieve additional information about events, invoices, payments, tenders, bundles, member groups, and searches. It’s important to note that the two versions of the API function independently of each other, so that programs written using the earlier version don’t have to be rewritten to function with the new version. Our mobile app is focused on two key scenarios: checking in attendees and managing the contact database. So in API Version 2 we added all of the calls needed to support the contact edit function and event registration (e.g., mobile event check in, etc.) on the mobile app. While the app was the key driver of this initiative, once we shaped API Version 2 to meet our needs, we realized that the functions are quite powerful and would offer Wild Apricot customers improved functionality, so we published all of them in API Version 2. While the mobile app will still be a key driver for the API roadmap for any additional API versions, we will also be considering other scenarios and functions that our customers request through the Wishlist Forum. Custom membership dashboard using Excel: Wild Apricot clients can build their own custom dashboard in Excel – starting with our sample Excel file – so that with one click of a button, you can generate a custom dashboard of your members/contacts. 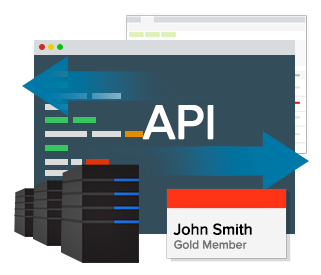 Custom member welcome packages: One Wild Apricot customer – JTZ Enterprise – uses the API to power an automatic email message to be sent out to all new members and members who recently renewed. What makes this welcome email unique is that it includes the membership card in an attachment. This new feature was implemented in an effort to reduce postage expense and the work involved in mailing out all these welcome letters and member cards. Automatic backup: While you can export Wild Apricot data at any time, it requires manually starting the export – and also doing it for each set of data separately (members, payments, event registrations etc.) With our API you can code a custom script that would automatically run daily and download all of the records from different tables. Trends: Wild Apricot doesn’t have reporting of contacts/members over time. But with an API you could track and report on the number of members and their various statuses. Consolidating data from several chapters using separate Wild Apricot accounts: We have many organizations with multiple chapters on Wild Apricot, with each chapter using a separate account. With our API, the central organization can build a custom script to consolidate all of the records from all chapters into a single list, e.g. in Excel or MS Access. Complex boolean queries using Excel: Wild Apricot itself can’t combine AND and OR (e.g., registered for the annual conference OR registered for the learning event AND “Gold” membership level) – but you can run these queries via the Excel file provided. External mail system integration: Wild Apricot’s email function is pretty powerful, but some customers want to use a dedicated emailing system as MailChimp or ConstantContact. So we have some clients who export the records from Wild Apricot and import them into MailChimp to take advantage of MailChimp emailing functions. With the Wild Apricot API, this process can be automated – a custom script can be built which would export your records using our API and import them into Mailchimp using their API. You could even update Wild Apricot email preferences based on Mailchimp sending results, e.g. to appropriately mark email bounces in Wild Apricot to stop further emailing attempts. Want more information on API? For more details on Wild Apricot API – what is involved and how to use it and a complete list and description of the API calls, you can check out our Online Help’s API section here. 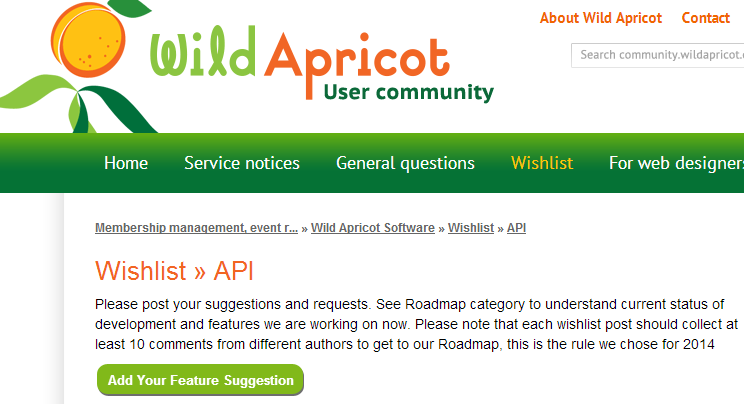 Or as always, you can contact our support team with any questions you have about our API via support@wildapricot.com. You can also offer your suggestions for future API enhancements by sharing your thoughts in our API Wishlist Forum. We’d love to hear how your organization is using Wild Apricot’s API. Let us know so that we can highlight you on our blog!